France warned Israel it must avoid all civilian casualties in Gaza after its local consul and his family were injured in an IAF raid. France warned Israel on Tuesday not to endanger civilians after one of its diplomats and his family was wounded in a retaliatory strike carried out by the IAF. 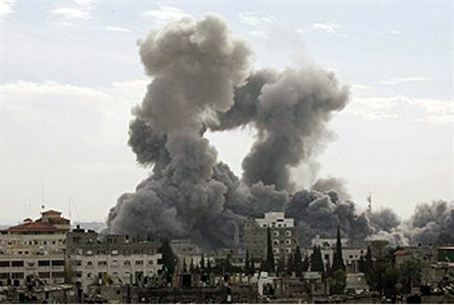 French foreign ministry spokesman Bernard Valero said the French consul in Gaza, 'Franco-Palestinian' citizen Majdi Shakura, was injured in an airstrike on the Hamas-run enclave in the early hours of Monday morning. According to Shakura, the blast blew out the windows of his house, resulting in the diplomat and his 13-year-old daughter being cut by flying glass and his 42-year-old wife to miscarry two months into her pregnancy. The strike reportedly targeted the nearby home of a member of the Hamas terror organization, which controls Gaza. Local emergency services said a 20-year-old member of Hamas' 'naval security forces' was killed in the strike. "France regrets this airstrike," Valero said. "While being committed to Israeli security, France notes the absolute necessity of avoiding all harm to civilians. The Israeli authorities have been reminded of this imperative." Legal experts note – contrary to popular belief – there is no such requirement under international laws governing warfare. Billeting combatants, storing munitions, and launching attacks from civilian areas as Hamas does is a violation of international law. Nor is Israel proscribed from launching counter-strikes on such areas if legitimate military targets are present. Rather, potential civilian casualities have to be weighed against the military necessity of the strike – which in Israel’s case is aimed at protecting its own civilian population. The Israeli military said Tuesday that it was not aware of any diplomat being wounded in its action, and said it had launched the strike in response to rocket fire against Israeli civilians from the targeted site. Relations between Paris and Jerusalem have been strained in recent days, after French President Nicolas Sarkozy was caught calling Prime Minister Binyamin Netanyahu a ‘liar’ on an open microphone. Sarkozy attempted to reassure the Prime Minister afterwards that their friendship is intact.